The artist behind Chronicle's bestselling In My finger puppet books and the Petit Collage line of children's décor has turned her talents to a brand new series of charming and inventive board books. 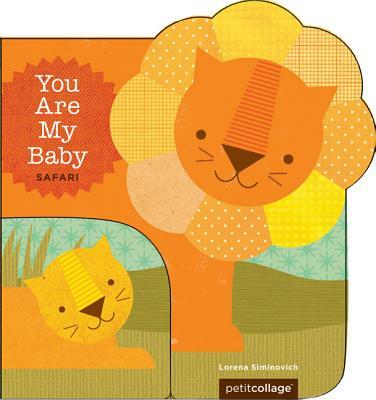 Here readers will find a little book nestled inside a bigger one: Turn the pages to match the baby animals to their parents, and learn some early concepts along the way. Lorena Siminovich was born in Buenos Aires and now calls San Francisco her home. She has written and illustrated a number of children's books, including the bestselling In My series. She is also the creator of Petit Collage, a line of modern wall décor and accessories.